OK, next best thing to a flyin’ car! 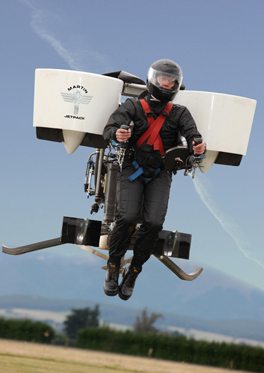 Finally, somebody invented a practical jetpack. 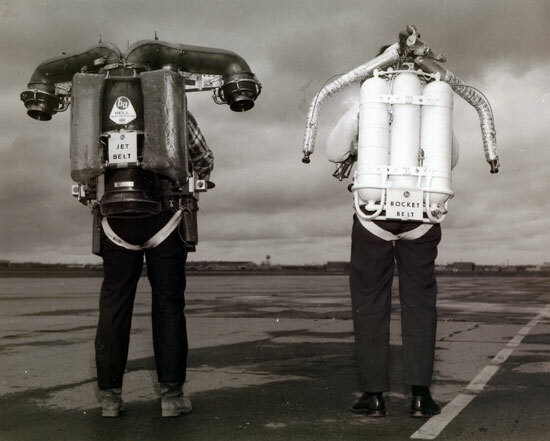 It’s not a rocket pack, but uses a proprietary jet engine design. It’s inherently stable by design, so if you go “hands off” it goes into a hover. Technically it’s a “gas turbine-powered ducted fan,” but runs on regular gasoline. It has a range of 31 miles at 60+ miles per hour – a flight time of a half hour, instead of the fifteen to thirty seconds of the rocket packs that run on catalyzed superheated steam, like the 1960s Bell Rocket Belt. It will be interesting how it works outdoors. While it’s obviously larger than the old rocket packs – and apparently not something you’re going to walk around with – it will still have some applications besides sport flying. The folks in New Zealand building it are comparing it more to an untralight aircraft than anything else. Smart.